The PORTABLE PAIL MIXER is perfect for shop, lab, school, construction sites and more. Allows for thorough mixing of heavy liquids and powders. 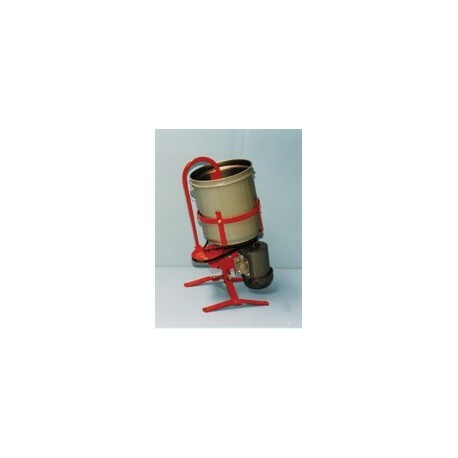 Removable 5 gallon steel pail rotates around stationary mixing paddle, providing complete radial and axial mixing. Entire unit adjusts to 4 different mixing angles. Weighs 52 lbs (approx). Standard Electric Motor is 1/2 hp TEFC, 115 volt AC single-phase. Explosion-Proof Electric Motor is 1/2 hp, 115 volt AC single-phase. Air Motor is 3/4 hp variable speed.